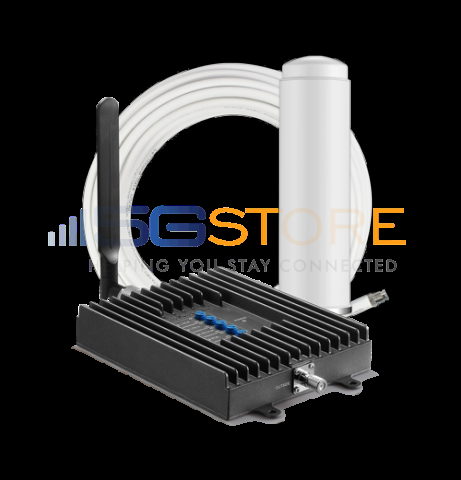 Congrats to John D. of Herrin, Illinois who just won a $25.00 Restaurant.com gift code for writing a review for SureCall Fusion4Home 3G/4G Repeater Kit - Omni/Whip at 3Gstore.com! Every week we randomly pick one product review from the previous week and award the writer a $25.00 gift code. We appreciate ALL the reviews our customers write, whether they are positive or negative - honest reviews like John D.\'s help other customers decide if the product is right for them. After you purchase a product from 3Gstore.com, we encourage you to log in and 3Gstore.com and leave a review letting people know how the product worked for you - you'll be helping others, and you'll automatically be entered to win a restaurant.com gift code!. I have a yagi antenna that I already had connected to the Sure Call booster outside port, then a flat panel interior antenna that I already had connected to the Sure Call booster inside port. Then the modem device for my desktop computer is mounted directly in front of the flat panel interior antenna. The Sure Call booster gives me an excellent signal strength and an acceptable noise ratio. It did take quite a bit of experimenting to get everything lined out, but in the end I am well satisfied with the Sure Call booster.